Since its founding by the National Grange in 1912, Columbian Mutual / Farmers and Traders Life has expanded beyond rural America to deliver a full line of traditional life insurance and annuity products to people from all walks of life. Effective on October 1, 2007, Farmers and Traders Life Insurance Company based in Syracuse, New York, merged into and became a part of Columbian Mutual Life Insurance Company of Binghamton, New York. 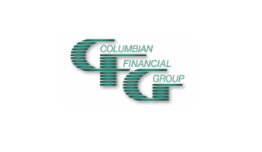 Columbian Mutual, licensed in all fifty states is the parent company of the Columbian Financial Group of Companies. The combined organization now has assets in excess of $1 billion and a strong surplus position which exceeds $70 million. Farmers and Traders policyholders become policyholders of Columbian Mutual and their policy provisions will not change. Employees will be maintained in both Syracuse and Binghamton, and the new organization will continue to service both their new and existing policies and agents. Available in: CT, DC, DE, FL, GA, IL, KS, MD, ME, MI, MO, NC, NH, NJ, NV, NY, OH, OK, PA, RI, SC, TN, TX, VA, WI, and WV. Kansas and Pennsylvania policies have fixed graded benefits over the modified benefit period of three years. Missouri, New Jersey, and West Virginia policies have a modified benefit period of two years. If death occurs during the modified benefit period, all premiums paid during the initial period are refunded, plus 5% interest for all policies (except Kansas and Pennsylvania). The full face amount of the policy will be paid if death occurs after this initial period or at any time if the cause of death is accidental bodily injury.